Remember that time when Nick Cave was hired to write the script for “Gladiator 2”? Oh, you don’t? Well, we reported on it back in 2009 and, thanks to Nick Cave’s recent appearance (described as “tense” and “daunting”) on the “WTF with Marc Maron” podcast, that piece of trivia is hitting the interwebs again. For some context, Cave had only one script to his name (this was roughly a decade before “Lawless”) when fellow Aussie and friend Russell Crowe approached the Nick Cave and the Bad Seeds front man to pen the sequel to “Gladiator.” As “out there” as that reads, it goes even farther when you consider that this proposed project would have been a sequel to a film in which the protagonist (Maximus/Russell Crowe) had already died and was on his way to Elysium. In the podcast with Marc Maron, Cave talked about the specifics on how he got involved in the Ridley Scott-helmed project and what that script was actually about. Turns out all it took was a phone call. As Cave told Maron, Crowe “eventually, rang me up and asked if I wanted to write ‘Gladiator 2’ (laughs) and for someone who had only written one film script [“Ghosts… of the Civil Dead”], it was quite an ask.” Naturally, Cave asked, “Hey Russell, didn’t you die in ‘Gladiator 1’?” To which Crowe replied with a simple, “Yeah, you sort that out.” And Cave did, by making Maximus an immortal (resurrections included) and getting Jesus Christ involved. Say what? That’s right. 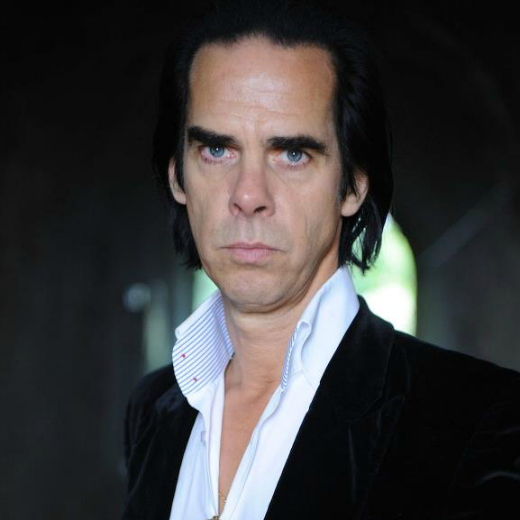 In Nick Cave’s hands, “Gladiator 2” would have involved the Christ man-god along with a bunch of Roman gods, all on the same theological footing. Yeesh, we’re not going to touch that with a ten-foot Spear of Longinus. Cave explained that Maximus post-mortem, “goes down to purgatory and is sent down by the gods, who are dying in heaven because there’s this one god, there’s this Christ character, down on Earth who is gaining popularity and so the many gods are dying so they send Gladiator back to kill Christ and his followers.” Remember, this was meant to be a follow-up to mega-blockbuster “Gladiator,” not some side experimental project. According to Cave, Crowe reacted with a simple, “Don’t like it, mate.” Contrarily, Ridley Scott supposedly said that it was the producers, not Crowe, who nixed Cave’s script. According to multiple sources (including the Guardian, NME and Clash), Scott told UGO.com (a now-defunct site) that, “We tried (to work with Cave’s screenplay). Russell didn’t want to let it go, obviously, because it worked very well. When I say ‘worked very well’, I don’t refer to success. I mean, as a piece it works very well. (As a piece of) storytelling, (it) works brilliantly.” Either way, you won’t be seeing “Gladiator 2: Christ Killer” coming to a theater near you anytime soon, or ever. The script itself leaked a few years ago, but we can’t get our hands on it at the moment. Apparently, “it ended in the men’s bathroom at the Pentagon.” Yowza. Though Nick Cave confessed to Marc Maron that he knew this script was never going to get made (calling it “a popcorn dropper”), he maintained that, “It was a stone cold masterpiece,” and we’d tend to believe him, offering an appendage or two (more finger/toe variety than full arm/leg) to see it made to full fruition. If you can find a live link to the script, pretty please with cherries on top send it along. Update: Thanks to some awesome readers, we’ve been pointed to the script which you can read below! READ THE REST AND DOWNLOAD THE SCRIPT HERE >>> Nick Cave Reveals Details About His ‘Gladiator 2’ Script ‘Christ Killer’ & You Can Read The Full Screenplay Right Here | The Playlist.